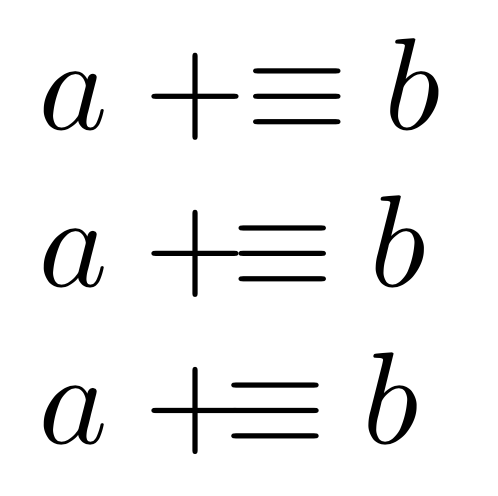 I would like to place the $+$ and $\equiv$ be nearly touching, almost as if they were one symbol. Is it possible to do this? What I would like is for these two symbols to be touching. the gap between them should not be present. Is there a way to do this? 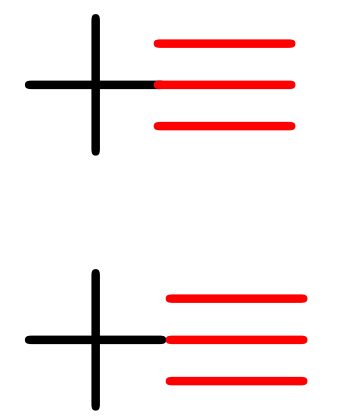 Bracing the symbols prevents them to get their standard meaning of operation or relation; the surrounding \mathrel gives the combination the status of a relation. Is it one of these you want? How/Where to find such special symbol/character? How to write an overarrow between two symbols in formula?